Today my class celebrated their first Poetry Friday! As a part of their reader’s binder, they are responsible for choosing one poem a month and writing a paragraph explaining why they chose the poem. The paragraph may include connections to the poem, favorite lines, specific likes and dislikes, or almost anything else. The poem and the paragraph are kept in their reading binders and at the end of the year they will have 9 poems and explanations! The poems can be any published poem by any author they choose. They may be funny, sad, descriptive, modern, ancient, short, long, etc. (This assignment is adapted from Linda Rief). I’m sure you are wondering what types of poems the students choose. Today we had poems from the following poets: Shel Silverstein, Jack Prelustky, Walt Whitman, William Carlos Williams, Emily Dickinson, and Billy Collins, to name a few. The poems ran the gamut from haikus, to sonnets, to concrete. Some poems rhymed and some did not. Some were one stanza and some were many more! Some poems were funny and some were serious. Some poems celebrated the winter season while others celebrated Hanukkah and Christmas. One poem was about turkeys and one was about dandelions. Each poem was completely different and each one introduced the students to something new and unexpected. I love walking around and hearing my students compliment each other on their choice of poem. They talk about how funny this poem is or how they agree with what that poet is saying. They ask where other students found their poems and before I know, we are immersed in a world of poetry. If you are able to, I highly suggest getting your class involved in an activity like this. There is nothing else like it, and the students don’t even realize how much they are learning. I am seeing it lay the seeds of a love of poetry in my class and I love it! Be sure to head on over to MotherReader- she has put together a fantastic Carnival of Children’s Literature this month! 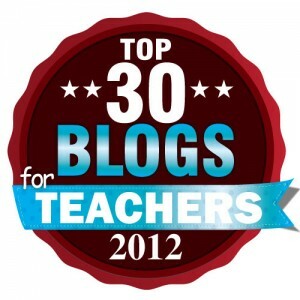 Check out the tips for parents, readers, writers, reviewers, bloggers, teachers, and librarians. Be sure to head over when you have time…….it’s a lot of information and you will want to be able to soak it all in! Today, while outside for a fire drill, I noticed that it is almost December. It is cold. Frigid, almost. Considering that the temperature on Thanksgiving was a balmy 65 degrees, today’s high of 40 degrees seems practically Arctic. I notice the red noses on my students and the I’m-freezing-cold-can-we-please-go-in-now(whyisthistakingsolong) hoppity-dance they are doing to keep warm. The leaves are no longer on the trees and the ground is cold and hard; finally frozen, brown , and dreary. As I look around, the cold air on my skin and the chattering teeth I hear behind me remind me that Christmas is drawing nearer and winter is here for the long haul. This gives me the idea that winter and cold will be surrounding me for a while and I should get used to it. Some people view winter as the dead time of the year, the low point in the wheel of seasons. Not so, says I. Look around you- the heartbeat of winter beats all around us. Notice the deer hoof prints in the newly fallen snow and imagine the small family scampering across the backyard in the dusky twilight. See the scarlet red flash of a cardinal as it alights from the snowy ground. Listen to the ‘chirp chirp’ of the winter birds as they eat at the birdfeeder. Taste the hot cocoa, with whipped cream and peppermint, as it passes over your lips. Feel the nip of the cold air as it chills your nose. Feel the warmth of the fleece gloves and scarf that you wrap yourself in to shield against the cold. See the snow-white moon in the navy blue sky, with the lone bright star shining in the distance. Winter is beautiful. Stop, look around, appreciate it. Soak in the cold air and the bright sunlight. Relax under a blanket next to a warm, crackling fire. The wheel of seasons has been turning since time began and will keep turning when our time is up; now is our time to be a part of it. Today, we read an excerpt from “Circling Tuck: An Interview with Natalie Babbitt” from Horn Book in 2000. The interview is wonderful and Babbitt shares a lot of great information with the readers. My students loved that fact that Babbitt admits that Man in the Yellow Suit only wears a yellow suit because she needed a two syllable word and “nobody wears purple”. Throughout the book, my students could not figure out why Babbitt has the man wear a yellow suit when yellow usually symbolizes happiness or sunshine. Needless to say, they think it is hysterical that there is such a practical reason for the color of his suit. They also loved the fact that Babbitt chose the last name Tuck because in the past, tuck meant life. This information gave a whole new perspective to the book and the themes that run through it. Most students noted that this was their favorite fact in the interview. They had no idea that words sometimes gain and lose meanings as time goes on, and tuck is a word they were previously familiar with. Hearing that an author put that much time and effort into choosing a character’s last name really fascinated them. It was great sharing Babbitt’s interview with my class. I could see their knowledge growing and they admitted that even though the book started slowly, they are so glad they gave it a chance because, “It really is an awesome book, Miss M.”! YES!!! Well, at least I am not D-list! Though, I do love Kathy Griffin, so “life on the D-list” wouldn’t be half bad. 😉 Keep an eye out…..a review is coming in the next couple of days- a non-fiction review, at that! A general call out there to the kidlitosphere…..does anyone know how I can get my hands on an ARC of Diary of a Wimpy Kid: Rodrick Rules? My kids are dying to read it and to be honest, so am I!! Thanks to Jen’s Sunday Round-up, I found out that Professor Nana has slides from various NCTE sessions on her blog. As I have spent the last few day lamenting the fact that I couldn’t attend NCTE, this is a great find! Be sure to scroll through, as the slides are posted on various entries. One of my favorite slide shows so far is “Don’t Wanna: Books to Let Reluctant Readers Discover Who They Can Be”. What a great presentation! I was very excited to see some of go-to books for reluctant readers listed by the presenters. This list validates my own book decisions and gives me even more confidence in my ability to help my students choose books. I know what works this year, with these students, but it is nice to see some of the same books on my list are also tried-and-true books for reluctant readers. For example, Darren Shan’s Cirque du Freak series has really taken hold of my class. This is a series I had never heard of until a few months ago when I briefly booktalked it as a boy’s companion for Meyer’s Twilight series. I was taking a risk, as Shan’s books were not stocked in our school library at that time and none of my students had even even heard of his books. Needless to say, I was thrilled when the series caught on and now I can’t get them soon enough for my classroom library. Now I am thrilled to see I made a good choice! The slideshow also includes other titles for reluctant readers, most of which I immediately added to my wishlist. The list of topics reluctant readers want to read more about is also something I saved. What an informative piece of research! When I think of my students, these are all topics they love- though I am fairly certain that list would scare the bejesus out of a lot of parents. Most tweens and teens enjoy books about the darker side of life; crime, punishment, suicide, death/dying, the supernatural, etc. I know when I was a tween, I was a huge fan of Lurlene McDaniel. My mom was genuinely worried for a bit, because every single McDaniel book is about someone dying from a terminal illness. I used to cry at the end of every book. Thankfully, my mom let me be and I eventually moved on to other books. However, I still tend to read more “dark” books than happy ones! Finally, I am printing the last page of the slideshow. I wish I could give a copy to every administrator, supervisor, legislator, and parent in the U.S. Kids need to read. Nothing will teach them more in life or school than READING. Plain, unadulterated, uninterrupted READING. Reading improves test scores, relationships, and lives.